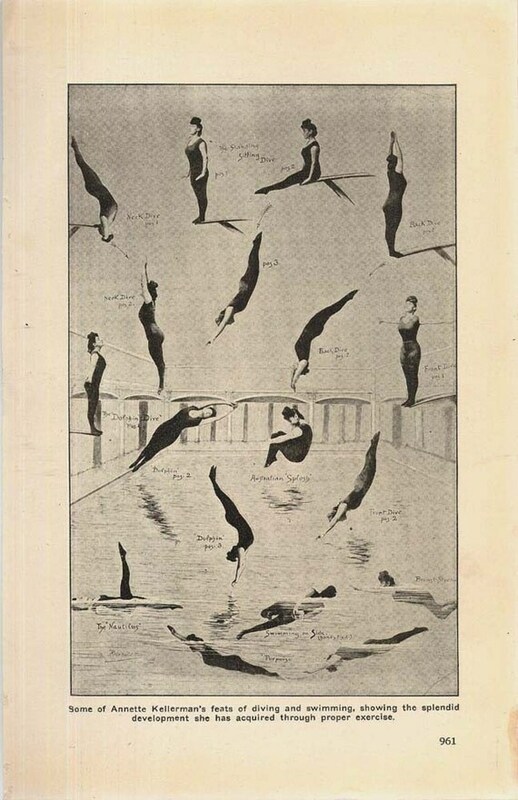 Illustration of Australian swimming goddess Annette Kellerman displaying her remarkable swimming and diving skills. It is this type of prowess and effortless grace that I hope to inspire in my students as they swim (not drown) in the Sea of Morphological Knowledge! Concerned by the tsunami of linguistic terminology in which students have recently been immersed, Sharon Peters, co-presenter in the school’s word-study workshops and grade 6 humanities teacher extraordinaire, and myself devised a lesson to help students swim, rather than drown in these exhilarating, terminological waters. Students of all ages are capable of using the correct terminology. This is a crucial part of the precision we expect of students when thinking about words and applying this to literature. I note, when linguistic terminology falls like pearls from my tongue, the whites of my students’ eyes and sweat bead upon their brows! At this stage of the year we talk about the need for rigorous terminology in order to communicate understanding with clarity. Using this terminology from day one and with young students all the way through the grades makes sense as it is the same terms applied to every word that is explored and certainly within a month, students are using these terms effortlessly. I felt certain that students would soon be comfortable with these terms.Yet the terminology focus of this week has led to far greater clarity sooner rather than later. At the beginning of class students indicated their degree of understanding over the terms: thumbs up for feeling comfortable, thumbs sideways for moving towards understanding and thumbs down for “this is like a foreign language and I’m wandering lost and confused”. We discussed the importance of asking questions, testing ideas rather than expecting an instant ‘right’ answer. We discussed the idea that learning is a two way partnership…powerful though I am, I cannot read their minds! Students must question, ask for clarity and at times be persistent and work hard to achieve understanding. We discussed the idea that asking questions is a sign of intelligence. We had begun class by listing qualities that we felt made a hero. Are there some universal traits? Students had gone home, thought about the list and narrowed this down to five words that they felt were essential to the concept of heroism. Some discussed this with their parents. Students ranked these five traits in order of importance, then compared their list with others at their table groups. We will go further with this in the next few lessons and it will inform our discussions of The Odyssey as we consider which of these traits applies most strongly to Odysseus. Why is he regarded as a hero? In preparation for these later discussions that will involve understanding a word deeply in order to justify its application to Odysseus and the other heroes we encounter in this unit, students need an understanding of morphological terminology, hence Getting to Grips with Morphology. Watch as students sort through the elements suggested by the list of heroic qualities. These qualities have been divided by me into elements, cut up, mixed and placed in an envelope to create an ‘element sort’. There are no hyphens on these elements to indicate whether an element is a prefix or suffix ( a hyphen to the right if a prefix and to the left if a suffix).Students were asked to create words from the elements, indicating this in a word sum, and make any necessary changes that occur near a morpheme boundary. In order to show their understanding of the terminology they were asked to label each element. Interesting discussions occurred, as students rapidly sorted between prefix and suffix, discovered connecting vowels and decided whether a base was bound or free. It was interesting to see how often my assumptions about what words were possible to create were challenged. I had not anticipated both <compassionate> and <ate>. In <compassionate> of course the element <-ate> is a suffix and when alone, unattached to other elements, as one group told me, it can represent the past tense of <eat> with <ate> being a free base. Of course it bears no relationship to the suffix <-ate> as the students swiftly understood. Challenging for them were the base elements <vent> and <pass> in <adventure> and in <compassionate>. Were they free or bound? One group could not see how vents , which indicated the movement of air, bore any meaning connection to the word adventure and so concluded that the base in adventure was bound. I prompted one group to go beyond a speedy acquiescence to one member’s assertion that the base element,<pass> in <compassionate> was free. As an exit card from class, students spelled aloud a word they had created from the elements, pausing between the morphemes. So what was gained from what I assumed to be a simple lesson in categorization? reinforcement of spelling aloud each morpheme. The kinasthetic nature of this activity with hands fluttering up emphasizes the morphemic boundaries. This helps to make students aware of the joins where vowel suffixes can force changes to a base element or another suffix. This also gave an opportunity to reinforce the reasons for removal of single non-syllabic <e>, the basis of the previous inquiry. an opportunity to consider the meaning carried by a base element and the importance of not leaping to swift conclusions. Just because a base may look like a free base element, does not necessarily mean that in a word it is. Evidence must be gathered and research into the roots (etymological investigation). Just because a suffix has the same letter string as a base element does not necessarily mean that in a word it is e.g. <ate> and <compassionate> , <able> and <comfortable>). Neither suffix or base are etymologically related. opportunities to discuss why in fact <immortal> has two ‘ms’, no foolish mnemonic needed here, simply a matter of the joining of a prefix <im-> to a bound base element <mort>. Many of these words will be examined throughout the year where further research into words sharing the base elements will be considered and an examination into the root to see how the root meaning has carried through to all current related words. To badly parody the Kellerman text above, I see that an activity such as this can lead to feats of word analysis and critical thinking ‘showing the splendid development students have acquired through the use of proper linguistic terminology’!! And who is Annette Kellerman? Read Annette Kellerman- Australia’s forgotten icon and read here. At 15 Annette beat men in sprints and mile swimming races, she supported her family through difficult times by diving into an aquarium, donning a mermaid’s tail and swimming with seals and eels! In 1908 at a Boston beach at the age of 21 she was arrested for indecency by attempting to swim in a skin tight one piece men’s bathing suit that ended slightly above her knees. Perhaps her defiance of gender boundaries and courage to follow her passion, qualify her as a hero. I am impressed by the mythological status she acquired that was reinforced by silent film success with Siren of the Sea (1911),The Mermaid (1911), Neptune’s Daughter (1914),Daughter of the Gods(1916) and Venus of the South Seas(1924).